Episode #5 of Rave Atlas Mix Series comes courtesy of Halley Seidel. The born and bred Brazilian is one the leading figures of Rio De Janeiro’s underground scene. Among the founders of B.U.M. (Brazilian Underground Movement) , Halley is playing and pushing electronic music in Rio De Janeiro for over two decades. Generation Electronics & After Beach Festivals. He currently holds the 86th place in the Top DJ List of the “DjSound” platform. Currently Halley is super active in the studio with a plethora of releases already out and coming out soon mainly on Future Scope Recordings, Klinik Room Recordings & Eye Records. Following is 90 minutes of his signature straight up techno sound including mainly his own productions with a couple of special add-ons from Vini Honorio, Nuta Cookier & Alex Bau. You are more than welcome to join us too brothers & sisters. 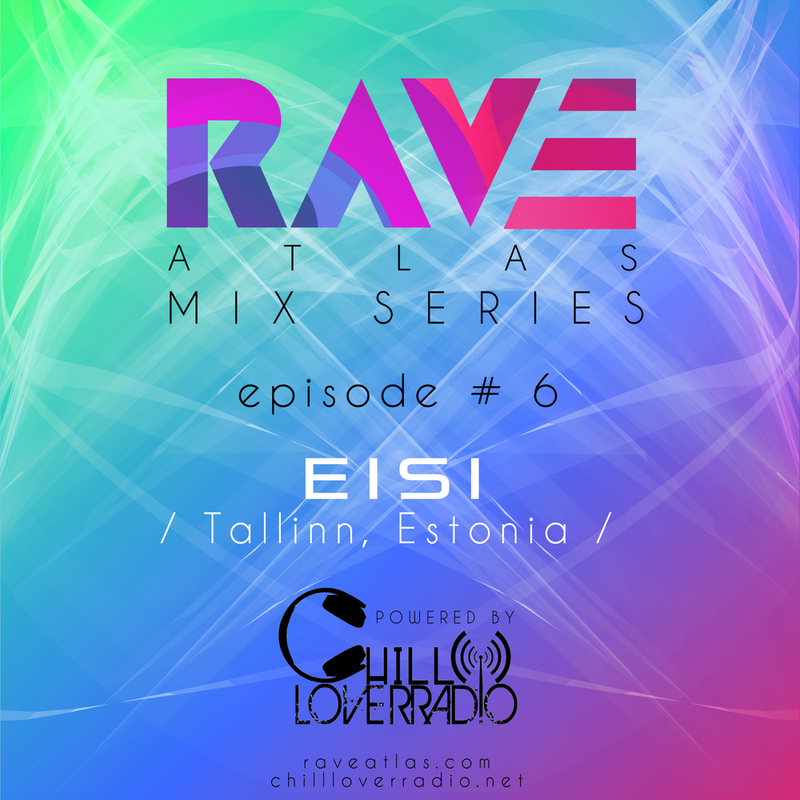 For Episode #2 the Rave Atlas Mix Series touches down at Madrid. We are very honored to have one of the Spanish capital’s most creative individuals that goes under the name of Waje Dj, taking the controls for our next 90 minutes raveform transmission. Dj’ing since 1989, Waje dj sets had a very distinct sound, a blend of 80’s industrial and EBM, and early 90’s electro, techno & trance. In 1995 he created the Robotique collective with Dj Fake , as an outlet to play the sounds of Drexciya, Aux 88, Ectomorh, Anthony Rother, Carl Finlow, and IF..
That was a pivotal moment in the Spanish Capital’s underground scene , as electro took its righteous place beside house and 4/4 techno, that until then where dominating Madrid’s dance-floors. Soon after Robotique , Waje moved on creating the legendary Electroclub 8Z8, making an entire cast of national and international acts, such as Ideograma, Alek Stark, Dark Vektor, Luke Eargoggle, Syllicon Scally, Manasyt, Cosmic Force , Minimal Rome Crew, Kobol Electronic, Teslasonic, Microthol, and many more , firm favorites of Madrid’s raving society. Still up to this day Waje is one of the most forward thinking djs in Spain, running events like Moebium, focusing more on electro and 4/4 techno and Orbita ,where he unveils his more cosmic, experimental and industrial persona. Everybody in Madrid , involved into the proper underground scene, considers Waje a teacher, both for his explicit and flawless mixing technique and his in depth knowledge of contemporary electronic music. The mix he did for us is a proper masterclass covering almost 30 years of electronic music and rave culture, featuring tracks from renowned artists like Model 500, “Mad” Mike Banks, Joey Beltram, LFO Vs FUSE, Rhythm is Rhythm, Suburban Knight, X 101, Neil Landstrumm, Dj ESP, A Homeboy A Hippie & A Funky Dredd, and hidden killer gems from Thotfull Spot III, Ravebusters, OBX, Major Problems, After Dark, The Electric Ecstacy Club, Konzept, Total Groove, Noise Control, Virtual Reality & Reflex 20. Every Thursday www.raveatlas.com will be offering you 90 minutes or the best music Rave Culture has to offer. Set up a profile now.